Gold Leaf Design Group's handmade art paper sheets measure 98.4”L x 39.4”W and are made of recycled materials such as cardboard, newspaper, sawdust, pineapple fiber, banana fiber and fast-growing sustainable resources such as jute, grasses and mulberry. As is, they exhibit natural colors, textures and fibers that can also be painted. 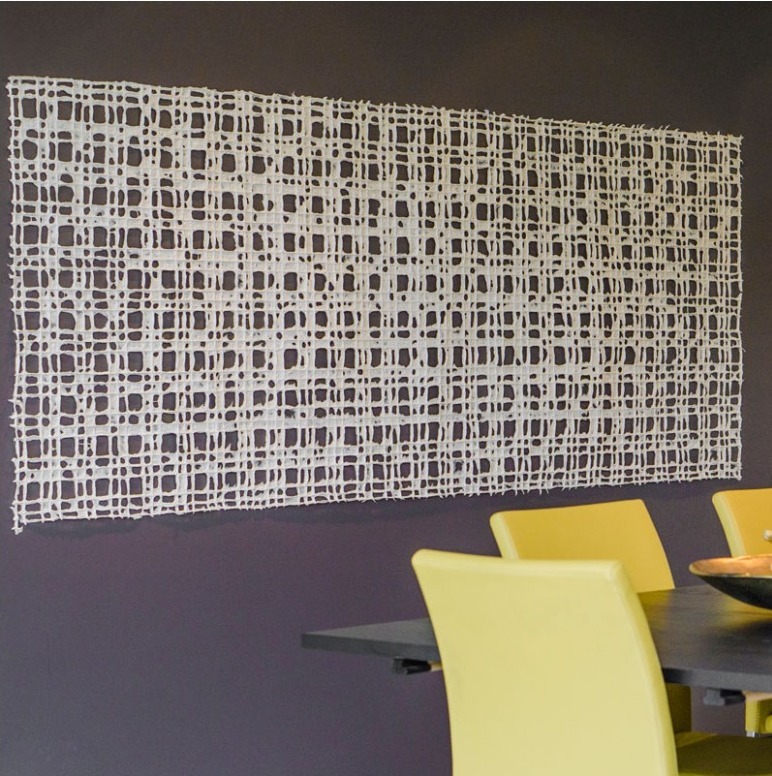 From straight-up wall decoration (easily tacked directly to your wall or in our shadowbox), to sculptural elements, to window treatments, to room dividers, the trendy natural textures and patterns are a crowd pleaser.